We carry on with our best ball rankings analysis with a look at running backs. For those who may have missed it, our analysis on wide receivers is available right here. 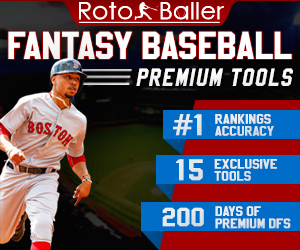 The ranking experts at RotoBaller have assembled tiered rankings in all major formats in order to help you prepare for your upcoming drafts, and improve your chances of winning your leagues in 2019. 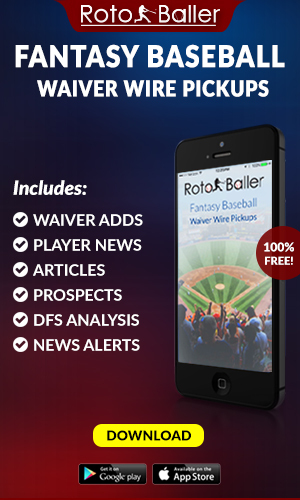 This includes our updated Best Ball rankings, which are designed to assist you in constructing rosters that will accumulate the highest point totals throughout the season. We are also providing detailed breakdowns of these rankings, including this analysis of the indispensable running back position. These players are maintaining an unmistakable presence throughout our rankings, as eight backs are located among our top 12, while 24 runners are contained within our top 50. 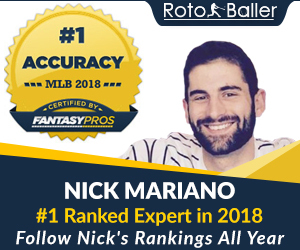 We will also continue to update these rankings in Best Ball and every other format throughout the offseason and you can find the latest rankings here. Barkley immediately seized his place among the league’s elite runners by compiling an impressive collection of numbers during his rookie season. Not only did he finish at RB1 in scoring, but the 22-year old led the NFL in all-purpose yards (2,028), amassed the most carries of 20+yards (16), and was second to Elliott in both rushing yards (1,307), and attempts (261). His 81.7 YPG average placed him fifth, as did his 11 touchdowns (11), while Barkley also verified his multi-threat capabilities by finishing second among backs in receptions (91), fourth in yardage (721). He enters each draft as a justifiable first overall selection. Elliott took complete advantage of the league’s most carries (304) to commandeer his second NFL rushing title last season (1,434). He also generated more first downs than any other runner (74) and has also paced all rushers in yards-per-game during all three of his professional seasons (95.6/98.3/108.7). Elliott also expanded upon the exceptional output that we have become accustomed to as a rusher, by easily registering new career bests in targets (95), receptions (77), and yardage (567). He remains the clear focal point of the Dallas offense and will be selected near the onset of all drafts. After quashing all doubts that he could operate as a productive receiving weapon during his 2017 rookie season, McCaffrey also invalidated all skepticism that he could flourish as a feature back in 2018. He now enters his third season with a dearth of naysayers after he nearly rushed for 1,100 yards on 219 attempts (1,098/5.0 YPC), while leading all backs in targets (124), receptions (107), and receiving yardage (867). He has now produced 1,518 yards as a pass-catching weapon during his initial two seasons, and his RB2 finish in scoring has secured his spot among the tier 1 options. Kamara’s touches increased by +74 last season in comparison to his allotment in 2017 (275/201). While his efficiency declined slightly as both a rusher (6.1/4.6 yards-per-carry) and receiver (10.2/8.8 yards-per-catch), his total yardage improved due to the increased usage (1,592/1,554). The distribution of Mark Ingram’s vacated touches (159) between Kamara and Latavius Murray will be pivotal in determining if he can expand his scoring beyond last season’s RB4 finish. But he should still confiscate a large percentage of goal-line opportunities, after finishing second in red zone carries (50), and first in red zone targets (26) among backs. Gurley averaged 20 carries-per-game and 98.8 yards-per-game during his first 10 contests and was leading the NFL in rushing yards (1,043) and touchdowns (17) after Week 11. But he only exceeded 12 attempts and 55 yards once from that point forward and was sidelined in Weeks 16-17. The concept of a 24-year old with an arthritic knee condition is disconcerting. However, we have witnessed what Gurley can accomplish when he is unencumbered by health problems, and he still led the league in touchdowns (21) and rushing touchdowns (17). His immense talent is worthy of a Round 1 investment, as he can deliver weeks with high-quality production if his issue subsides. Before Bell’s 2018 salary dispute placed his highly productive career on pause, he led the league with 321 attempts in 2017, finished third with 1,291 yards and bolted for nine touchdowns. He also was second in all-purpose yardage (1,946), accumulated more receptions than any other back (85), and finished at RB2 in scoring. He now returns at age 27 to regenerate his career as a Jet and will be operating as his new team’s unquestioned feature back – which provides enormous incentive to select him midway through Round 1. Gordon was averaging 15 carries-per-game and 80 yards-per-game from Weeks 1-12 before he suffered an MCL injury that sidelined him until Week 16. While the timing of his absence was horrific for owners, he still finished sixth with 10 touchdowns, and ninth with his 73.8 yards-per-game average. He has now averaged 996 yards and 9.3 touchdowns on the ground since 2016, along with 462 yards and 3.3 touchdowns as a receiver during that span. However, reliability concerns are justified, as he has only played in all 16 games once during his four-year career. When Pittsburgh’s RB1 responsibilities became available, Conner inherited a considerable workload (16.5 attempts per game) and attained the league’s eighth-best yards-per-game average (74.8). He also accrued 973 yards in 13 games, tied for third with 12 touchdowns, and finished sixth among all backs with 1,470 yards from scrimmage. Conner’s output was achieved despite the ankle issue that forced his absence from Weeks 14-16, but his numbers will keep him entrenched into the Steelers’ feature back role. It will not be surprising if Jaylen Samuels also maintains a limited weekly workload. Johnson was a top-3 selection in the majority of standard and PPR league drafts in 2018. But even though he was entrusted with the third highest number of attempts (258) he only finished 13th in rushing yardage (940/3.6 YPC). His prowess as a receiver was also largely ignored by Arizona’s woefully overmatched offensive decision makers (76 targets/50 receptions), as 10 other backs were targeted with greater frequency. But there is a valid reason for optimism that Kliff Kingsbury’s derivative of the air raid approach will keep Johnson highly involved, and propel a statistical rebound this season. Mixon was entrusted with a significant workload during his second season, as he finished eighth in rushing attempts (237) despite missing two contests with a knee issue. He responded by accruing 1,168 yards, as only Elliott, Barkley and Gurley exceeded his total. Mixon also averaged 4.9 yards-per-carry and was third among all backs with an 83.4 yards-per-game average. His rushing output was supplemented by 296 yards as a receiving weapon, which elevated him to an RB9 finish in scoring. He will not turn 23 until July and can function as an RB1 on all rosters. The prospects of a healthy Cook eluding opposing defenders while delivering a collection of big plays provides the motivation for securing him during Round 2 of drafts. But it also overrides the reality of an alarming 17 missed games in 2017-2018. Still, the scenario of a highly productive Cook briefly came to fruition in Weeks 13-16, when he rushed for 87 yards-per-game. Mike Zimmer’s affinity for a run-heavy approach is matched by offensive advisor Gary Kubiak’s penchant for the ground game. That places Cook in a favorable environment for success if he can elude further injury. The promising developments during Fournette's 2017 season - finishing eighth in rushing yardage (1,040) third in touchdowns (9), seventh in attempts (268) and RB8 in scoring - were eviscerated by the ongoing aggravation that owners were subjected to in 2018 (133 attempts/439 yards/3.3 YPC/5 touchdowns). Selecting Fournette near his current ADP at the onset of Round 3 requires the belief that he can deliver output that more closely resembles his 2017 numbers. But it also entails a leap of faith that the health issues and ill-fated decision making that limited his availability and production last season will not be repeated. At this point, there is little reason to consume time and space and time discussing Aaron Jones' vastly superior level of talent compared to Jamaal Williams. Jones is clearly the Packers most proficient back, and potential owners can only hope that he can finally escape the unnecessary restrictions of a committee approach with his less inspiring teammate. Jones delivered a league-best 5.5 yards-per-carry average last season and capitalized on the 17 touches per game that he was allotted from Weeks 8-14, by producing 697 total yards. Tevin Coleman's westward migration has created an uncluttered depth chart while presenting Freeman with an opportunity to procure a mammoth workload. This would produce a significant rise in his output if he can achieve sustained health. He did accumulate 2,135 rushing yards and 3,175 total yards in 2015-2016 before a cluster of injuries sidelined him for 16 games during his last two seasons. His passageway to a third 1,000-yard season makes him worthy of selection when your draft reaches Round 4. Chubb entered Week 7 averaging just 2.6 attempts-per-game and 28.8 yards-per-game and had only surpassed 25 yards in just one of his first six contests. But his workload (18.5 carries-per-game) and production (89 yards-per-game) both increased sizably from Weeks 7-16, as Chubb displayed the ability to operate proficiently as Cleveland’s feature back. He also finished 10th in rushing yards (996) and could have been a borderline Round 1 pick for owners. Instead, the presence of 2017 rushing leader Kareem Hunt has placed uncertainty surrounding the workload distribution once Hunt’s suspension has ended. Anyone who is considering the selection of Michel in Round 3, should be emboldened by the fact that his 71.6 yards-per-game average was the league’s 10th highest, and placed him on pace to finish sixth overall (1,146 yards) if he had avoided the knee injury that sidelined him for three matchups. It is also encouraging that he sustained considerable usage when Rex Burkhead was healthy, as the 24-year old Michel averaged 16-attempts-per-game during his 13 matchups and 15.1 when Burkhead accumulated snaps. Williams entered Week 13 with a grand total of 3 carries and a single rushing yard. But Hunt's release triggered a drastic change in Williams' role, as he averaged 13.4 touches and 79 total yards from Weeks 13-17. He also produced six touchdowns and was allotted 10 carries in the red zone. Williams provides an appealing target due to the prolific nature of Kansas City's offense. But anyone who selects him in Round 3 must hope that no additional backs are blended into the backfield mix, while also remaining aware that Carlos Hyde can poach a percentage of goal-line carries. Most lingering doubts regarding Henry's viability at his current Round 4 ADP should be dissipating at this point. Even though the 238-yard/4 touchdown explosion that he provided in Week 14 comprised a healthy portion of the 585-yard/8 touchdown sequence that he delivered from Weeks 14-17, he still averaged 116 yards and scored three times during the remaining matchups in that memorable four-game stretch. His desirable presents him with an opportunity to exceed last season's yardage total (1,059), and the potential to reach legitimate RB1 status. Mack overcame a cluster of injuries and thrived as Indy’s primary back. He bolted for 847 yards and nine touchdowns from Weeks 6-17, including four games in which he eclipsed 100 yards. He completed the season with 908 yards despite a four-game absence and finished sixth with a 75.7 yard-per-game average. The Colts appear committed to deploying the 23-year old Mack as their RB1, and he supplies an enticing target as your draft approaches Round 4. The questions surrounding whether Jordan Howard physical style was a suitable match for the qualities that Matt Nagy prefers with running backs intensified after Nagy stated his affinity for “backs that can make guys miss”. Now, Howard is an Eagle, and the 270 touches that he received last season will be redistributed to Cohen and former Seahawk Mike Davis. This is a favorable development for Cohen, who finished third among backs in receiving yards (725), sixth in targets (91), and receptions (71), and also generated five of his eight touchdowns as a receiver. Johnson was on pace to exceed 1,000 yards before a troublesome knee strain ended his season in Week 11. He appeared to have proven his ability to function effectively with feature back responsibilities after averaging 13,1 attempts and 72.6 yards-per-carry from Weeks 3-11. But anyone who is committed to selecting Johnson must be prepared for ongoing restraints in his workload due to a committee approach. Not only will C.J. Anderson siphon rushing attempts that would preferably be designated for Johnson, but Theo Riddick will also confiscate the majority of receptions that are earmarked for the backfield. 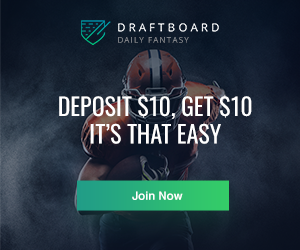 Lindsay soared into fantasy relevance as an undrafted free agent by finishing ninth in rushing and would have reached the threshold of 1,100 yards (1,097) if he had not been sidelined by a wrist injury in Week 17. But his yardage total was still second highest among rookie runners, while also propelling him to an RB11 finish in standard league scoring. Uncertainty surrounding the timetable for his recovery keeps him from residing in a loftier tier. Ingram’s 17.7 touches-per-game average from 2014-2017 dropped to 13.25 per-game last season. But his eight-year tenure as a Saint has ended, and Ingram will have the opportunity to garner a more extensive workload after migrating to an environment that maintains a steadfast commitment to its ground game. He should sustain a role as Baltimore's RB1 even though Gus Edwards and Kenneth Dixon are lurking on the depth chart. Despite contending with a problematic hip that jettisoned him to the sidelines for two games, Carson still finished fifth among all rushers with 1,151 yards, fourth in yards-per-game average (82.2), and was allotted 17.6 carries per game. The third-year back has demonstrated his ability to function effectively with an extensive workload, and Carson will accumulate massive touch and yardage totals even if Rashaad Penny is also operating in a consistent weekly role. You can be excused for any lack of enthusiasm toward the idea of selecting Miller. But if Houston does not add a significant threat for touches during the NFL draft, then it’s difficult to ignore his favorable situation. While White’s season-long numbers were impressive, it is noteworthy that his 11.3 touches per game average dropped to 8.8 from Weeks 13 to 17 after Burkhead resurfaced in the lineup. If Guice’s ongoing recovery from his torn ACL progresses sufficiently for him to participate in team activities and the preseason, then he should secure feature back responsibilities for Washington. San Francisco's backfield is overflowing with possibilities for its workload distribution. However, Coleman has the advantage of familiarity after assembling 1,347 total yards while operating in Kyle Shanahan's offense during 2015-2016. Now that Adam Gase’s perplexing usage of Drake can no longer impede the fourth-year-back, he should easily exceed last year’s mystifyingly low 7.5 attempts-per-game, while presenting respectable value at his fifth-round ADP. While Howard has seemingly transitioned to a Philadelphia offense in which he can operate as an early-down back, he has also entered a crowded backfield that could become even more congested after the draft. The veterans in this tier will surge in value if they secure larger workloads than are currently projected. Jacobs and Montgomery could easily ascend in our rankings if they are drafted by teams that will entrust them with substantial roles. 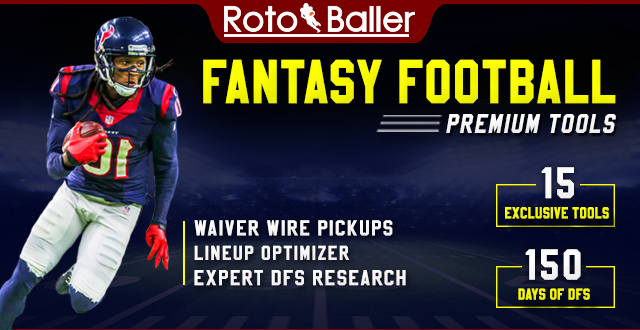 Tiers 7-8 are comprised of runners that are located from RB37 to RB42 in our rankings. However, they could gain relevance as the offseason unfolds.